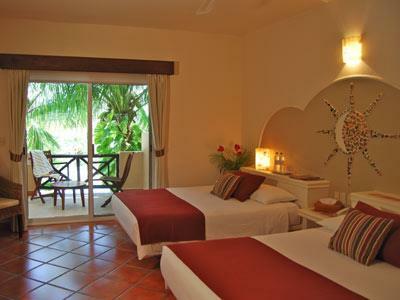 These spacious rooms have been equipped with all the amenities you need for a comfortable stay. 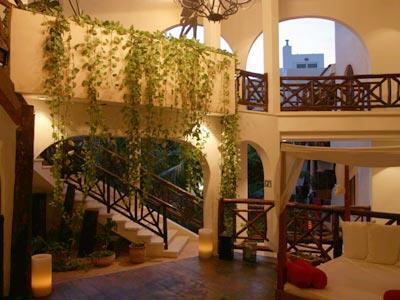 The large sliding doors help to let in a lot of light and lead out to a private balcony, where you can admire the view of the pool. 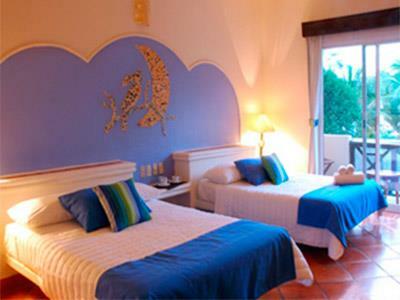 These rooms delight guests with a beautiful view of the pool from the private balcony. 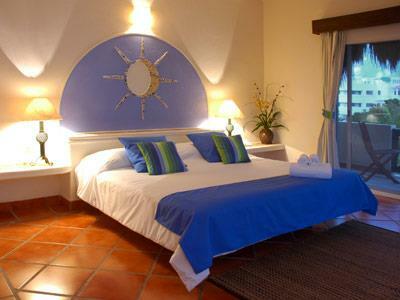 Each room features simple and elegant decor, creating a peaceful atmosphere for a good night's sleep. 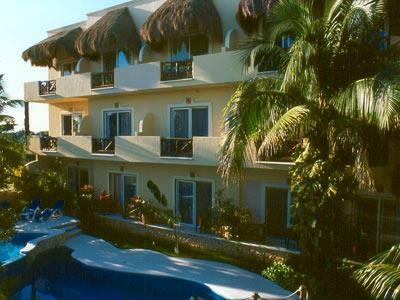 Each suite is equipped with a handy kitchenette for your comfort and convenience. 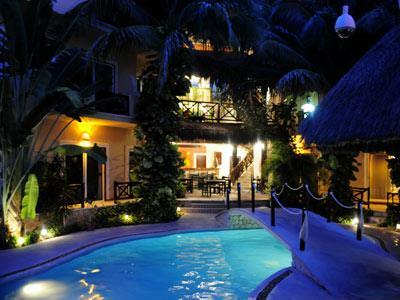 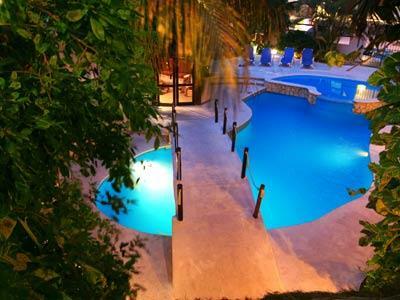 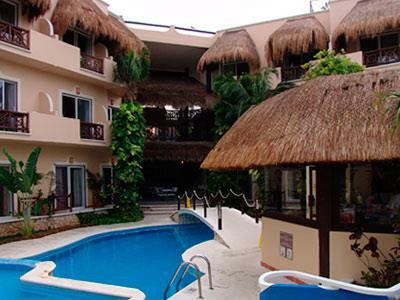 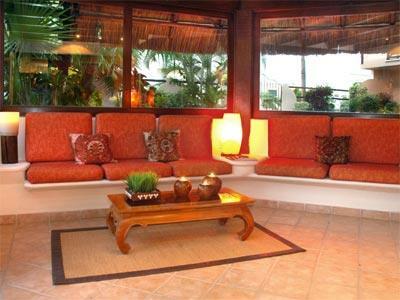 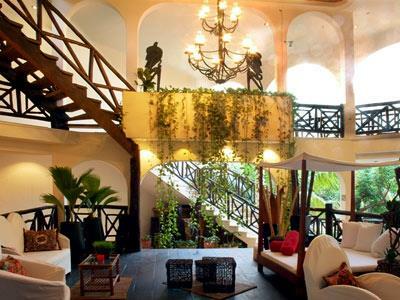 Riviera del Sol Hotel is a beautiful hotel right in the center Playa del Carmen. 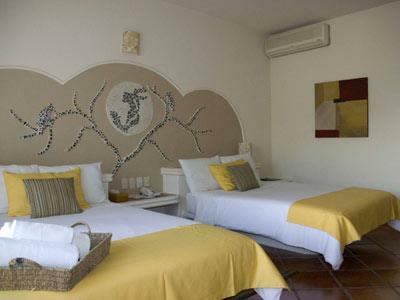 It is just off the famous tourist attraction the Quinta Avenida (5th Avenue), which is an ideal place to go shopping, or out in the evening for a romantic meal. 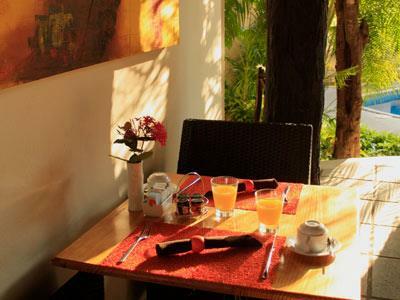 It is set in lush greenery, with a beautiful garden and swimming pool area complemented by comfortable and well equipped rooms, making it ideal for a relaxing vacation. 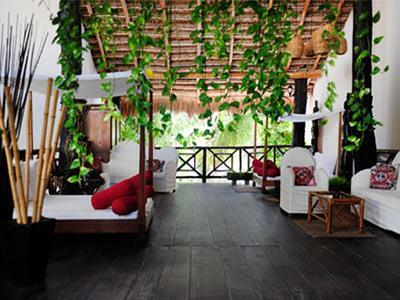 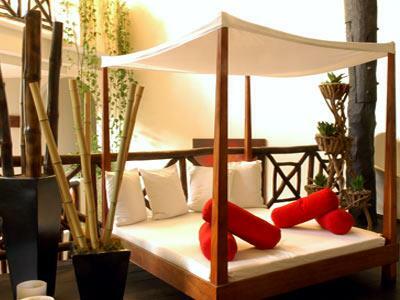 Enjoy a peaceful stay in this charming city when you choose this lovely hotel.